For more information or to schedule an appointment with our Ft. Lauderdale chiropractor, call 954-202-9911 today! After serving patients in Plantation, Florida, for 20 years, Dr. Michael Cohen is pleased to open a new office in Fort Lauderdale to serve coastal residents. Dr. Cohen and his staff help patients with a variety of chiropractic needs, including lower back pain, sciatica, neck pain, carpal tunnel, disc herniations, headaches, shoulder pain, whiplash, and injuries from auto accidents. Dr. Cohen also specializes in treating injuries unique to recreational sports such as boating, cycling, and golf. Our holistic approach recognizes that treating the patient involves more than physical care. Our pain specialists will listen to your concerns and help you find the source of your pain and discomfort. After that, the team will work with you to develop a treatment plan and implement quality care designed to meet your specific needs. Spinal decompression is a treatment option for patients suffering from sciatica, lower back pain, numbness, and tingling in the arms or legs, or herniated discs in the neck (cervical spine) or lower back (lumbar spine). 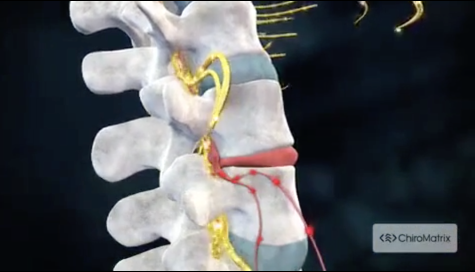 We utilize cutting-edge technology to treat patients over a four to six week period, gradually creating negative pressure to support healing within the disc. Many patients find natural chiropractic treatments to be both comfortable and remarkably effective. Our Employee Wellness Program offers workshops that help reduce worker’s compensation claims and absenteeism, and cut costs for health care insurance and hiring and training programs. Dr. Cohen and his staff will work with you to create programming that suits your needs. Choose one of our popular presentations OR create a topic tailored for your organization. Do you need to be seen right away? If you’ve been in an auto accident and are suffering from related injuries, we can work you into our schedule today. Our staff is eager to assist you and available 24 hours a day to take your call and start your treatment. Injuries from auto accidents can sometimes take weeks to manifest as pain, and even a collision at slow speeds can cause an injury to your spine. We recommend a full spinal examination as soon as possible following an auto accident for the best diagnosis and comprehensive care plan. Dr. Michael Cohen brings more than 20 years of experience with him to his Fort Lauderdale office, and he brings the same expertise and caring that he has given his Plantation patients. He is native to south Florida, and earned his D.C. from Life University in Marietta, GA. Dr. Mickey, as he’s known to both staff and patients, is available to treat patients with all types of chiropractic needs. In addition to injuries resulting from auto accidents, workplace incidents, and daily life, Dr. Mickey is well versed in spine and neck injuries related to sports and recreation, such as golfing, boating, and fishing. Call (954) 202-9911 to speak to a member of Dr. Cohen’s caring staff and schedule your appointment. "I can now say that receiving chiropractic care is a blessing. My whole body has taken a new dimension, from death to life. The tingling in my legs and violent tremors has stopped, and I can watch the T.V. Without wearing my glasses. I can say that God is great he has helped my body through Dr. Cohen."